Over the holidays, I picked up some delicious reads. One of them -Jenny Ross’ Healing with Raw Foods– got my motor running with some interesting and rather unusual flavour combinations. 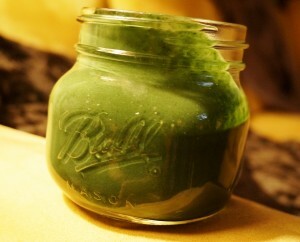 I am particularly enthralled by some of the really, really, really yummy yet easy-to-concoct smoothie recipes. One of my new favourite smoothie ingredients is raw coconut butter. There are several brands available – this one is a exceptionally good. 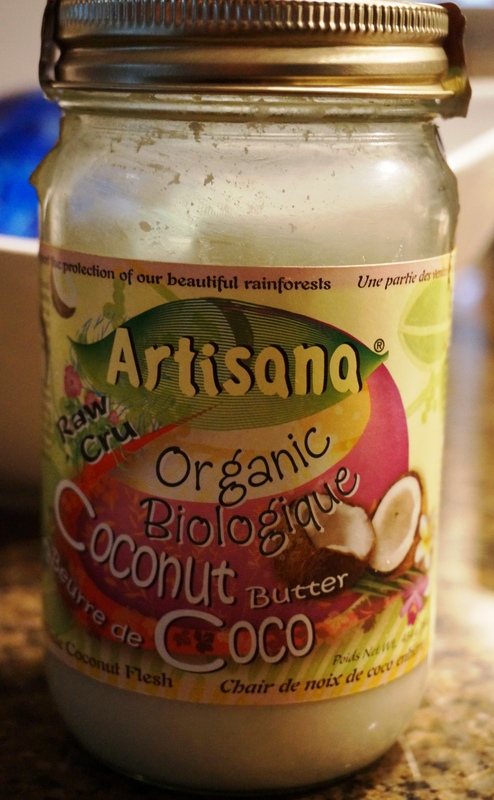 Essentially, coconut butter is simply dried coconut meat that has been crushed into a creamy paste. It is minimally processed. 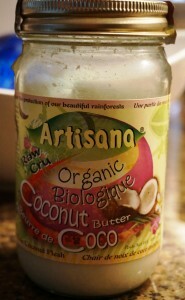 Not only does coconut butter deliver on taste, it brings us all the significant health benefits of coconut. Because it is coconut. Presented to you in a different format that will win you over with the first lick of the spoon. Coconut (butter) contains lauric acid, which is an antibacterial, antiviral, and antifungal. The antifungal property makes it a popular product for reducing Candida yeast in the body. It also contains medium chain triglycerides (MCTs), which are fatty acid compounds that have been associated with fat burning and may help with weight loss. Additionally, MCTs are very easy for humans to digest, since they don’t need to be broken down in the stomach before they can be absorbed. One quick word from the wise: the fat will separate from the rest of the coconut butter/paste and move to the top of the jar. 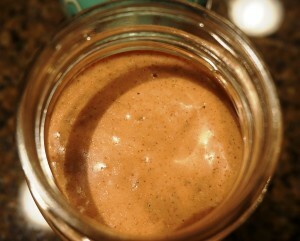 So, before your first dive into the jar, consider resting it in a bowl of hot water to soften contents. Then, open it up and mix the whiter layer of fat into the paste. Finally, you need to understand that the coconut butter brings a crazy silkiness to these smoothies that cannot be understated. Such supreme loveliness. Combine all ingredients in blender; blend well into a rich, thick milk. Blend all ingredients until a thick shake mixture has formed.